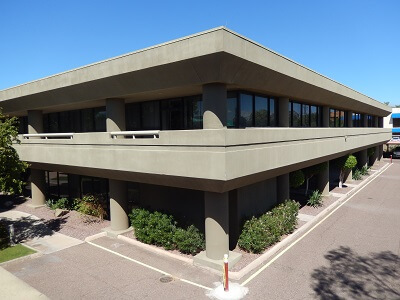 NAI Horizon represented the landlord in a long-term lease for an international office space firm at The Peak, 7301 N. 16th St. in Phoenix. NAI Horizon Senior Vice Presidents Barbara Lloyd and Lane Neville and Associate Nathan Pancrazi negotiated the 15-year lease on behalf of Bogle Family Realty, LLLP. Regus will occupy 15,447 square feet of the 46,170+/- SF office complex. The property is 90 percent leased. Regus, the tenant, was represented by Kevin Calihan of CBRE.